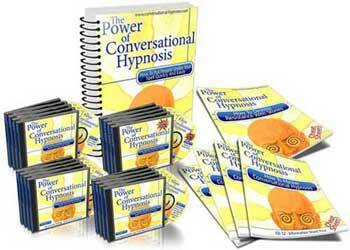 Agreement tactics in conversational hypnosis are very functional. You will learn to use these for two different reasons. The first reason to use agreement tactics is to put the critical factor in your subject’s mind to sleep. The critical factor which tells people whether or not something is believable needs to be turned off in order to induce a good trance and to make suggestions that will hold true when the person is not under hypnosis. This is the second reason you will use agreement tactics. Once the critical factor is turned off you will want your suggestions to seem realistic, agreement tactics do just that. They get the listener in the habit of agreeing with you and lend you the authority in their altered state of mind. The agreement tactics, and there are four of them, build an agreement factor in the listener’s mind. They will help you to open up the side of the mind that likes to agree and make them want to agree with what you are saying. The four agreement tactics include plausibility, the agreement habit, ‘yes sets’ and piggy backing suggestions. In this article we will look at the plausibility tactic and the agreement habit tactic. We will begin to explore how and why these will add impact to your suggestions when a person is under hypnosis. The first agreement tactic of Plausibility is the idea of getting a person to agree with what you are saying repeatedly so eventually you can introduce an idea that may not be considered a truth. As long as it is a plausible statement they will agree with it because they are already in the habit of agreeing with you. Agreement at this point is easier because you have put the person’s critical factor to sleep and there is no analysis of the idea you are presenting. This in turn allows the listener to keep with the general flow of the conversation without interrupting it to disagree. The goal here is to have the critical factor turned off as much as possible. The more the critical factor is on the more plausible your statements must be. The more it is off the more implausible your statements can be. When a person is in a full state of trance the plausibility of a statement is no longer required, plausibility can be nonexistent and the subject will still take your statement for truth. You can utilize your signal recognition skills here to see how much of your listeners critical factor is in place. Always keep in mind that your listener may seem to be totally awake, but this does not mean their critical factor is awake. The second agreement tactic that we will be looking at is the Agreement Habit. Agreement habit is essentially based on the concept of ‘going first’. If you remember ‘going first’ is when you create a reality that you immerse yourself in first and then lead your listener through it. In the Agreement Habit tactic you want to be able to set up a pace and have your listener follow along, agreeing all the way. This sets a pattern inside the head to agree, causing your listener to agree even when they may not agree with the entire statement. 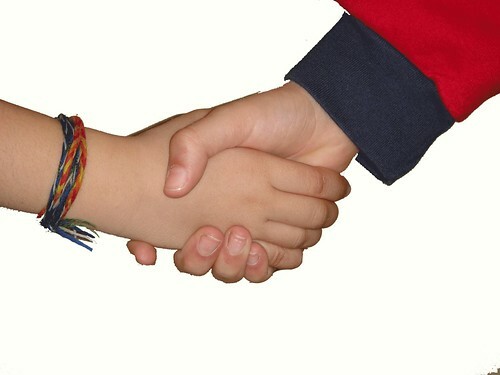 Part of the Agreement Habit is the Agreement Habit Principal which has everything to do with positive reinforcement. What you put into something will help it to flourish and grow. Now this works the same for both positive effects and negative effects. When you reinforce a positive behavior or thought it will grow just as much as if you give attention to a negative behavior or thought which can be counterproductive for your purposes as a hypnotist. In the agreement habit you will want to provide a response to the positive things and avoid responding to the negative. When you agree with ideas or statements, respond with a verbal ‘yes’, nodding your head or even a smile. When you disagree with an idea or statement do absolutely nothing, give it no response at all. The act of response to the positive things will foster positive reinforcement and cause your subject to make more positive statements than negative ones. People like to get responses, whether they are positive or negative, so by only reacting to the positive thoughts you are greatly improving your agreement with the other person. Another reason to respond to positive aspects of thoughts and ideas is the Access State Principal. In this principal the idea is that changing moods changes what information within the mind you have access to, as well as influencing the behaviors you exhibit. When you change your mood to a positive mood you will access more positive thoughts and behaviors. Again everyone craves reactions and by altering you mood to receive the reaction that is favorable you will be advancing in the art of hypnosis. Agreement habit and positive reinforcement when used correctly will casually leave behind the negative behaviors or things you do not respond to. These are all extremely powerful ways to induce agreement and keep it going. In this they are consciously registering the agreement and not the disagreement. There is so much that the agreement habit can do that it is hard to keep it all in your head as you read this. So to review, agreement habit unconsciously presents the information you agree with, puts the critical factor out of commission, and sets a pattern of agreement that your listener can easily follow. Plausibility and agreement habit are powerful tactics that you should perfect in order to become a great hypnotist. You should examine how, when and know why to use them. They assist in the beginnings of bringing out the objectives you have as a hypnotist.